Impetigo. 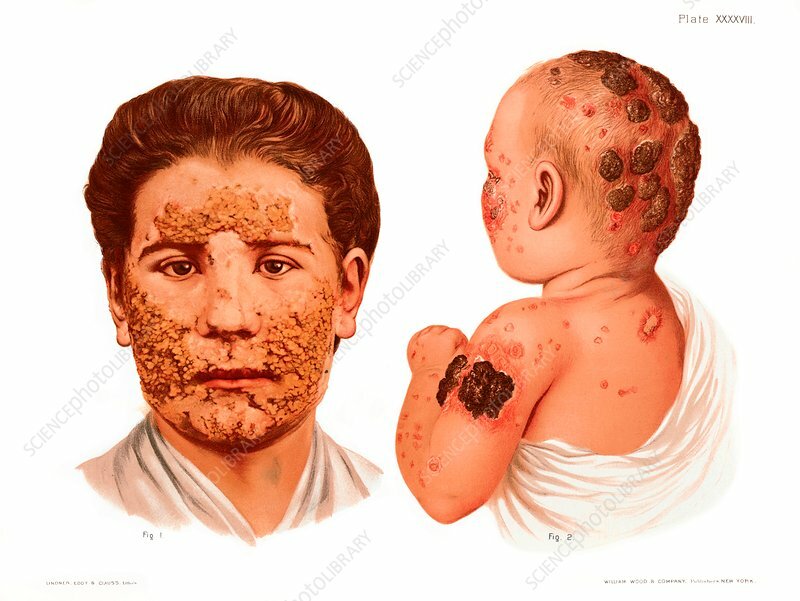 Historical medical illustration showing: Fig.1: Impetigo figurata in an adult female patient; Fig.2: Impetigo contagiosa in a baby. Impetigo is a bacterial skin infection caused primarily by Staphylococcus aureus and sometimes by Streptococcus pyogenes. It causes the formation of pustules that contain fluid filled with bacteria. The infection is highly contagious. From Atlas of Venereal and Skin Diseases by Prince Albert Morrow, published in 1889.